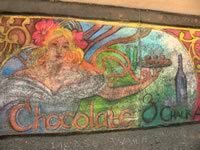 A CHALK ART CONTEST for the best drawing will be judged and photographed after 4 p.m. Cash prizes are $150/$100/$50 and runners-up get a $25 gift certificate from Books Inc. Winners will be notified by email on Wednesday after the event. There are no fees to artists. Areas of sidewalk will be assigned to participants to create your own fanciful chalk drawings. Each area is at one address. You may use as much of the area as you like, however, more than one artist may be assigned to an address if there is a long sidewalk. If you are assigned an area that doesn’t work for you, go back to the registration booth and get reassigned. Artwork may be as small as 2’ square and up to 6’ x 3’ – we’re flexible! Please leave room for pedestrians and do not draw directly in doorways or in driveways. We want your work to stay in place for as long as possible. And please only draw on assigned areas since there are a few businesses that don’t want chalk on their sidewalks. 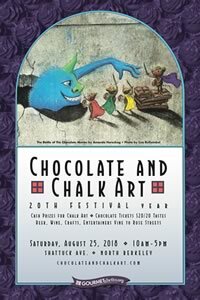 Same-day registration takes place 10AM-5PM in event booths located at 1495 and 1607 Shattuck Avenue where special artist's chalk is available for $10 or you may BYO. Please use saturated chalk colors if you are competing. See prior year’s winners here. 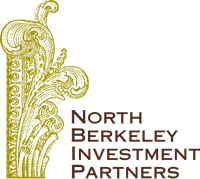 Another Bullwinkel Show and the North Shattuck Association retain the rights to use the artwork in any manner they see fit. Thank you so much for making art come alive!